← Do you know how to really reblog? I have recently met a man who practices exactly what he preaches. A man who takes God at His word and who expects blessings to reign on his life because God said they would. Just imagine what our lives would be like, what miracles we would be performing, how many lives we would be touching, how much love we would have for others if we were only “persuaded that God had power to do what he had promised”. Well, the man I met recently is one of those few individuals who is persuaded that God has power to do what He has promised. His name is William D. Carter III and he is doing an internship at our church for a few weeks. He is a student at Princeton Theological Seminary in the United States. 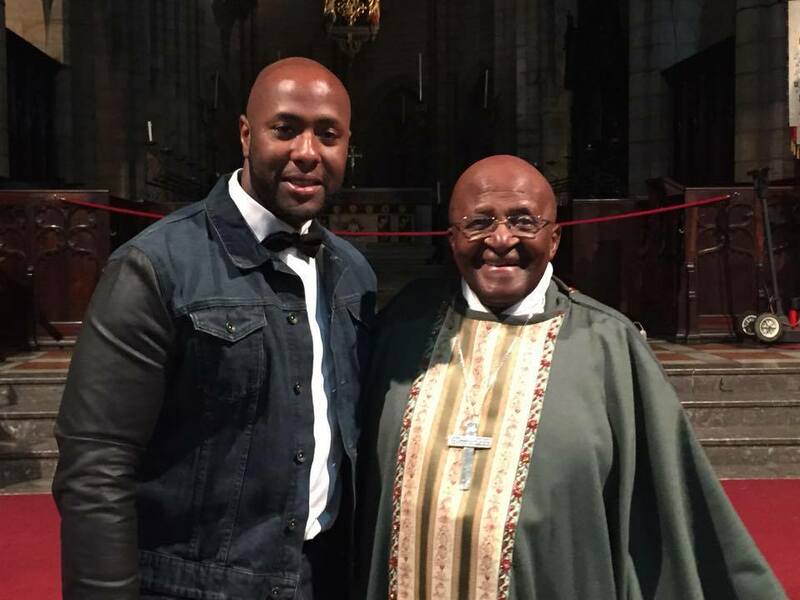 In my blog Meeting Archbishop (Emeritus) Desmond Tutu I wrote about how William had always longed to meet the Bishop and how God had arranged for William and the Bishop to meet. 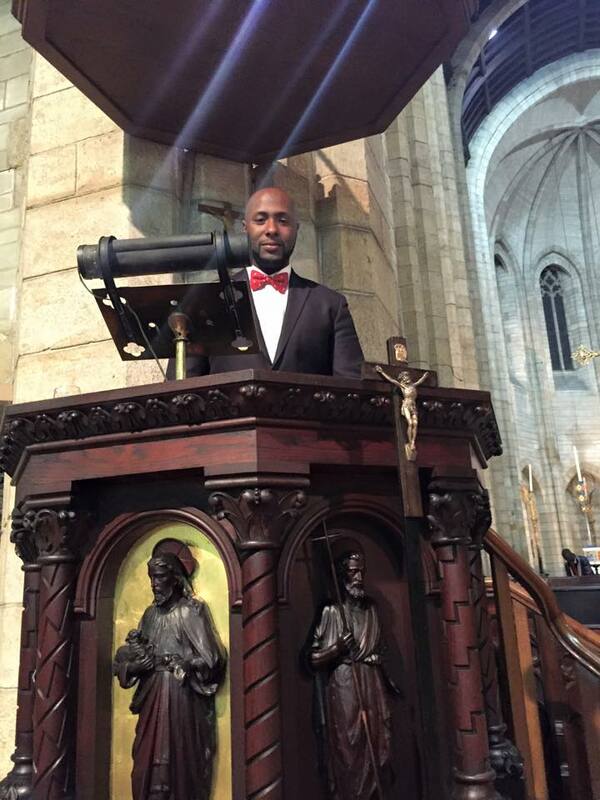 William has even been given the opportunity to do the Bible reading at two services led by Archbishop Tutu. Well, the follow on to that, was that William was asked to preach one Sunday night at the Bishop’s church – St George’s Cathedral, Cape Town – blessing upon blessing! Isn’t that like Jesus? We are so unworthy and undeserving; yet, God blesses us in spite of ourselves. He does not give us more than we can handle, but he gives us more than we deserve. Men and women like Oswald Chambers, Billy Graham, Martin Luther King Jr, Louie Giglio, Rick Warren, Rosalind Rinker, Beth Moore, Joyce Meyer et al were able and are still able to achieve so much in their lives because they were and are “persuaded that God had power to do what He had promised”. That, and the fact that their lives were spent and are being spent copiously reading God’s word and spending constant time in prayer with Him. We have all received God’s abundant provision of grace and the gift of righteousness through Jesus Christ. It is up to us to develop these gifts. This entry was posted in God, Life, Prayer and tagged faith, gifts, grace, prayer. Bookmark the permalink. 4 Responses to YOU’RE RIGHT ON TRACK! Wow what a wonderful man to meet … Oh and Tutu too of course!! Am so looking forward to seeing who God is going to introduce William too next! Yesterday he got to meet Queen Mathilde of Belgium.